Uttar Pradesh State Biodiversity Board celebrated the International day on Biological Diversity (IDB-2010) on 22nd May 2010 at Dr. Ram Manohar Lohia National Law University Campus, Lucknow. On this occasion, a National Conference on "Biodiversity, Development and Poverty Alleviation" was also organized in which more than 450 delegates including various research organization/ institute, universities, officers from U.P. State Forests Department and other state as well as NGO's etc participated. The conference was inaugurated by Padamshree Dr. P.Pushpangadan, Director General, Amity Institute for Herbal and Biotech Products Development, Thiruvananthapuram, Kerala. Shri D.N.S. Suman, Principal Chief Conservator of Forests, U.P. welcomed all the dignitaries and delegates of conference and delivered the welcome address. He said that forest department is making continuing efforts to uplift the economic status of local people living in the fringes of forest through implementation of different projects on conservation of flora and fauna vis-à-vis biodiversity conservation. According to him, the conservation of biodiversity can be achieved only through sustainable development and scientific utilization of biological resources on the planet. In his inaugural speech, Dr.Pushpangadan expressed that fast and unregulated urbanization is threatening traditional ways of life and increasing pollution due to lack of understanding between industry, community and institutions carrying out research work. He added that it is high time to save our biodiversity. Most of the population explosion is expected to take place in the biodiversity rich, developing countries like the Caribbean, the Philippines, Sri Lanka and the Western Ghats of India. Shri Chanchal Kumar Tewary, Principal Secretary (Forests) and Chairman, U.P.State Biodiversity Board, in his talk stated that biodiversity is directly linked with our livelihood. It is our prime responsibility to conserve biodiversity on priority for sustainable use of bioresources. 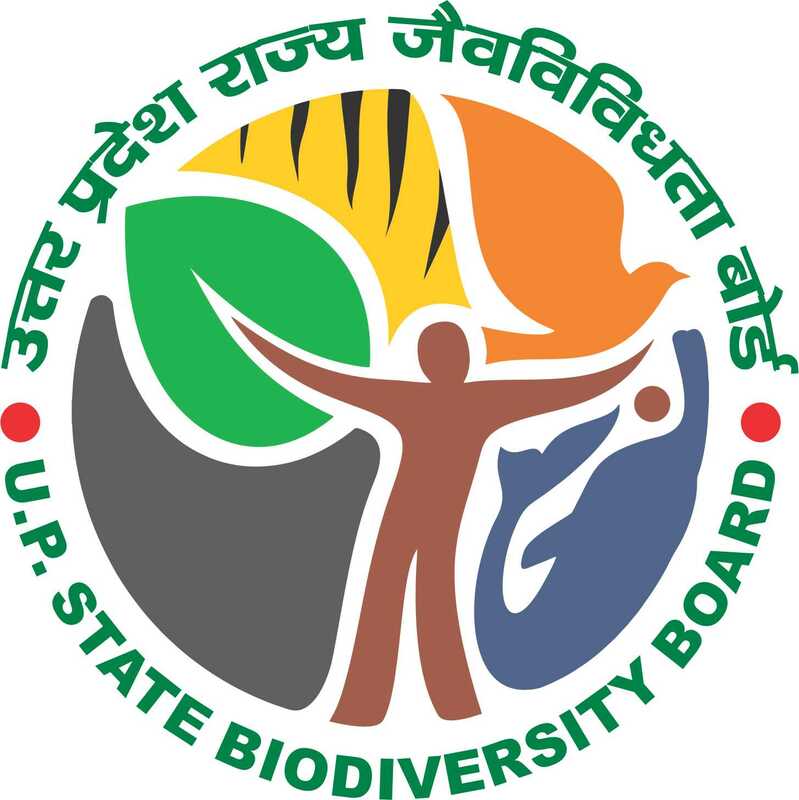 Speaking on this occasion, Secretary of the U.P.State Biodiversity Board, Pawan Kumar said that people living on the fringes of forest reserves, near biodiversity rich regions and tribal areas in Sonbhadra would be apprised about the importance of biodiversity. Depletion of biodiversity directly affects agriculture due to negative impact on water cycle and fertility of soil. It also results in loss of habitat for wildlife and fodder for livestock. Sri Pawan Kumar, in his presentation also emphasized on the objectives of the National Conference as well as the efforts made for conservation of floral and faunal biodiversity so far. Shri Brij Lal, Addl. Director General of Police, U.P., in his lecture, stated that there is an urgent need to make aware the villagers/tribals living in the fringes of forests vis-à-vis their participation in biodiversity conservation programme. He emphasized that the traditional food species, which are at the verge of extinction, need conservation for poverty alleviation and well being of the tribals dwelling in the forests. Prof. Balraj Chauhan, Vice Chancellor of RMLNLU, Lucknow in his lecture informed that we have an ample amount of literature regarding knowledge of traditional medicines, natural resource conservation etc. The need of the hour is to strengthen the same legally and economically for sustainable development. In the inaugural session, a souvenir on the theme of the conference was also released. It carried forty articles in about 168 pages. In the first Technical Session of the conference, Dr. Ram Krishna, Director, Zoological Survey of India in his presentation, discussed the bioresources including genetic, organism and ecosystem resources and their sustainable development. Besides, he gave brief account of genetic, species and ecosystem diversity. He emphasized that we must develop strategies to protect biodiversity if we want to achieve poverty eradication and sustainable development. Biodiversity is the basis for achieving sustainable development. The loss of biodiversity through the reduction of crop and livestock genetic diversity and the decreased availability of wild biological resources threatens food and livelihood security for the poor. Local access to genetic resources (of plants, animals or micro-organisms) and the equitable sharing of the benefits derived from their utilization are important to the sustainable use of biodiversity and to poverty alleviation and development. Benefits derived from the research, transformation or commercialization of genetic resources should be shared equitably with the people who have preserved the resources utilized and the indigenous knowledge of their benefits. Dr. K. Venkataraman, Scientist, Zoological Survey of India, Chennai office delivered his guest lecture on emerging prospective on biodiversity and its conservation in India. He described different ecosystems and biogeographic zones in our country. He gave a brief account of nutritional need of growing global population and conservation of biodiversity and sustainable use of natural resources. Besides, he highlighted the Convention on International Trade in Endangered Species of flora and fauna, role of CBD and major regulatory changes in Biological Diversity Act. Shri Yeshwanth Shenoy, Legal Advisor, National Biodiversity Authority in his presentation gave a brief account of evolution of the International Concern on Biodiversity Conservation and sustainable development followed by India's biodiversity profile and Biological Diversity Act, 2002. Regarding Development and Poverty Alleviation, he stated that there is need to identify bioresources in the state; identify industry usage and supply from state; identify mechanisms to supply bioresources directly to the industry; identify local usage by communities/people; validate the knowledge at state research facilities; identify the possibility of IP Protection; market through licensing agreements these IP to the industry. Dr. N.K.Singh, National Professor, ICAR, New Delhi in his lecture expressed the role of genomics and search for novel genes in rice germplasm resource. He described the importance of rice germplasm in India. In the Second Technical Session, there were four guest speakers. Shri.Akihiko Sasaki, Team Leader, Nippon Koei Co., Ltd., Tokyo, Japan and Project Management Consultant for UP-PFMPAP in his presentation described different components and objectives of the project entitled, "Uttar Pradesh Participatory Forest Management and Poverty Alleviation Project (UP-PFMPAP)". He spoke on Conservation of Biodiversity Hotspots, Ecotourism Development, Management of Protected Areas and Eco-development Activities like Community Development and Livelihood Security. Prof. Dr. Arvind Gupta, Krishnamurti Foundation, Rajghat Education Centre, Rajghat Fort, Varanasi in his lecture on "Poverty to Poverty Alleviation/ Development –Imperatives" expressed that knowledge from ecosystem theory will have to be used for organization and conduct of individual/ societal, economic and non-economic activities. We have to narrow down the gaps between the rich and the poor, the well-fed and underfed, the market and non-market goods and services and the literate and illiterate. Dr. (Smt.) Usha Lachungpa, Scientist, Sikkim Biodiversity Board in her presentation on "Sikkim: Biodiversity & Biopiracy issues: In context of Development & Poverty Alleviation" stressed on some major issues like increasing presence of invasive plant species, challenges: quality / quantity of “eco”tourism, role of environmental NGOs and organizing Awareness Generation National Environment Campaign regarding Sikkim’s threatened biodiversity. Dr. J.P.Singh, Chief Conservator of Forests, Wildlife, Berhampur, Orissa in his presentation on “Mass Nesting and Conservation of Olive Ridley Sea Turtle -An Unique species of Orissa" gave a brief account of rich bio-diversity existing in forests of Orissa state. According to him, there are 2754 plant spp., in Orissa ,out of which 29 are endemic. Besides, Orissa is also home to 120 NTFP Species, 36 mangrove species, more than 100 medicinal plant spp. and 144 rare & endangered spp. He focused his talk on Leatherback sea turtle which is the largest and Kemp’s Ridley Sea Turtles (Lepidochelys kempii) being the smallest .The 2nd smallest is Olive Ridley Sea Turtle. He further emphasized the threats to Olive Ridley Turtle and need as well as strategy for its protection and conservation. In the end, there was a folk song on biodiversity conservation by Acharya Chandra Bhushan Tiwari. Besides this, an exhibition on the theme of International Biodiversity was also organized in which the tribals from Vindhya and Bundelkhand region and Terai region displayed their livelihood and traditional medicines of the region. There was also a photography exhibition related to various aspects of biodiversity conservation in which the winners were awarded prizes and citation.